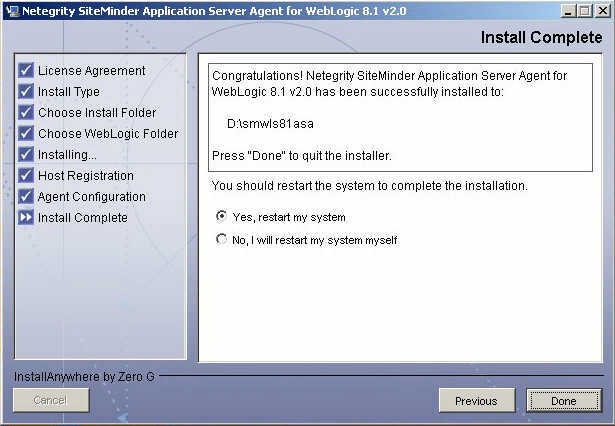 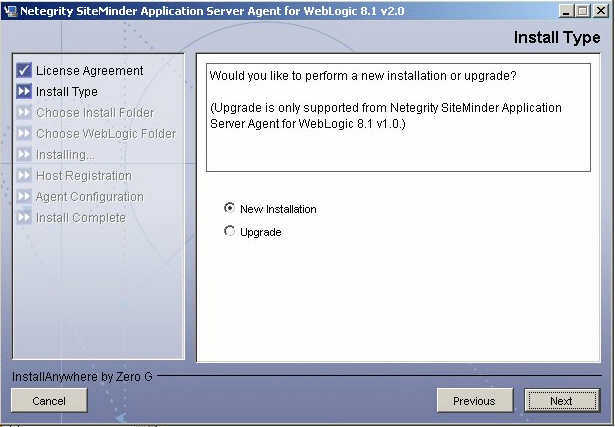 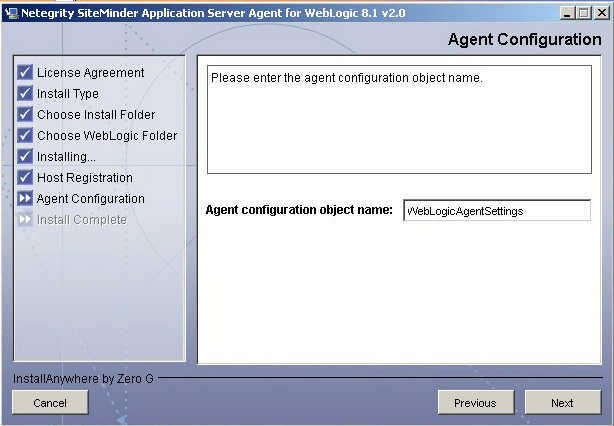 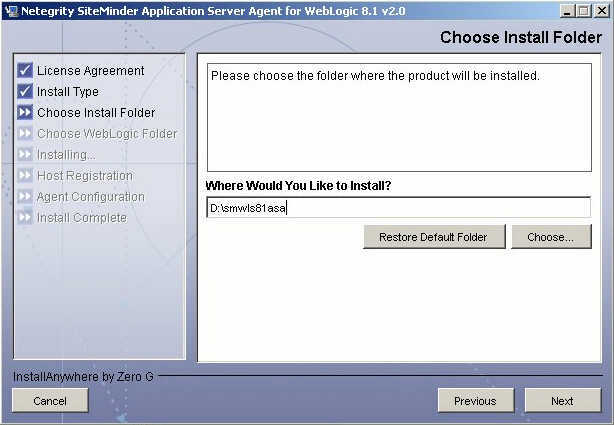 Installing Site Minder Application Server Agent for Weblogic 8.1 - Middleware wonders!! 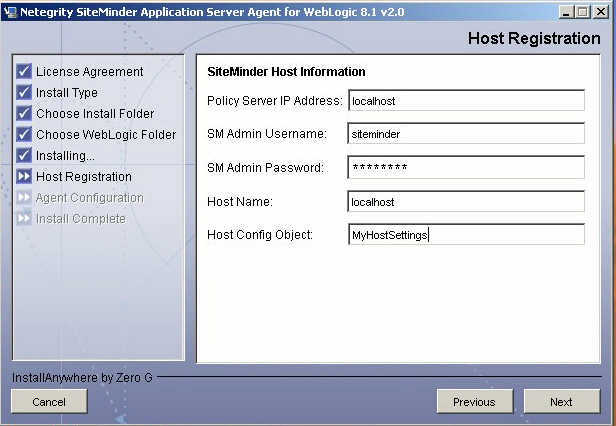 Can you describe the usage of SiteMinder and what is the difference between integrating it with weblogic server or webserver? 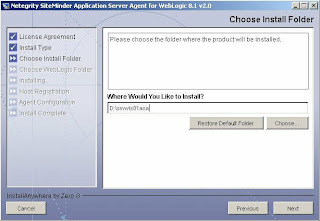 Also, if you can give a brief description after each screen as to why you need the value that you are entering. 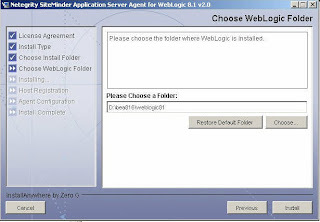 I am migrating to WebLogic 10.3.3 as our new app server. 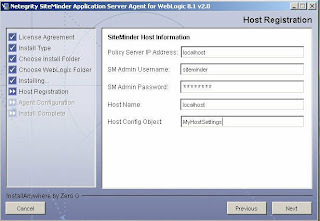 Our system is secure by Siteminder. 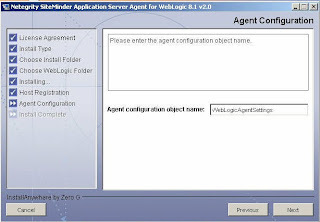 There is a web agent in our webserver. 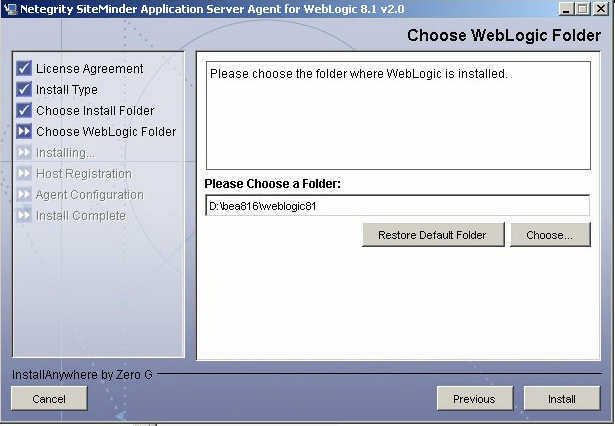 In order to make the migration simple I used the same webserver changing only the httpd.weblogic.conf settings to point to the new app server. 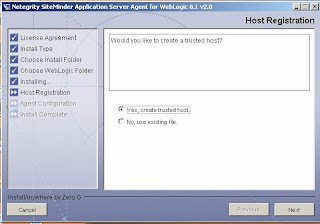 This setup is rejected by Siteminder since it did not give the correct URL after checking. 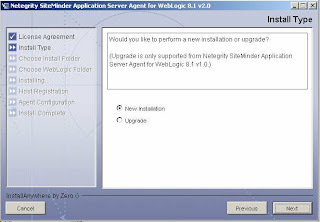 What other settings I need to change? 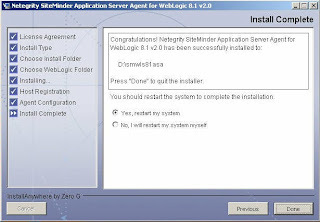 How does Siteminder know that the new appserver is authorized? 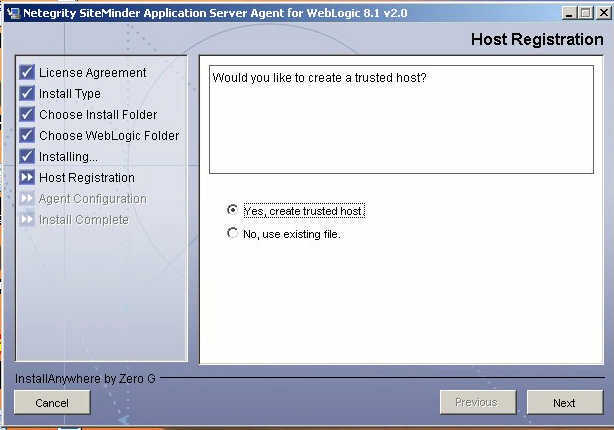 Maybe I would need to add trusted host definition but how do I do it?